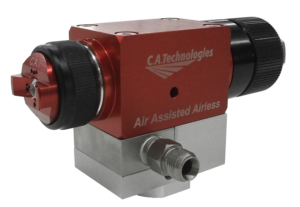 The Air Assist Airless pump from C.A.T. is an all stainless 14:1 ratio pump for production fine finish spraying of wood or other fine finish applications. The new 14:1 Peak Performance Series pump incorporates a new completely redesigned air motor that features a stationary magnet poised for endurance and longevity. 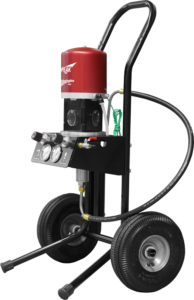 C.A.Technologies Cougar/Bobcat spray outfits are now available as a self-contained unit with 2 HP compressor, 4-gallon air tanks and the AAA pump all packed nicely on a sleek compact cart, making it the most effective tool for any job any place. 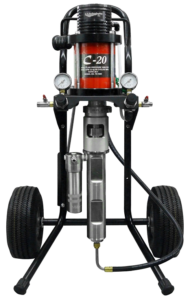 The New Air Assist Airless pump from C.A.T. 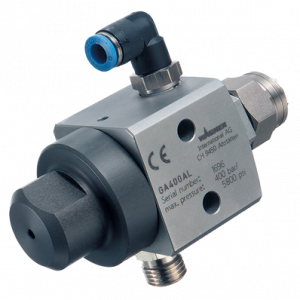 is an all stainless 20:1 ratio pump for higher viscosity materials and multi-gun operation, incorporates a totally enclosed throat seal to reduce contamination as well as a sight gauge for ease of checking lubricant levels. This is a durable and dependable pump for continuous operation with a 2 GPM displacement for single or multiple gun applications (8 guns up to 13 thousands tip). The New CATalyzer™ pump from C.A.T. is an all stainless 10:1 or 1:1 mixing ratio pump for all types of catalyzed fine finishing applications. 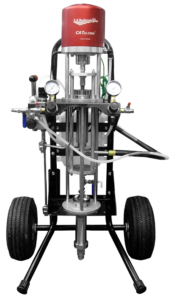 The 10:1 pumps innovative design allows a perfect 10 to 1 mixing ratio that is carried out through the “Quad Valve” to reduce the amount of waste when dealing with catalyzed materials. 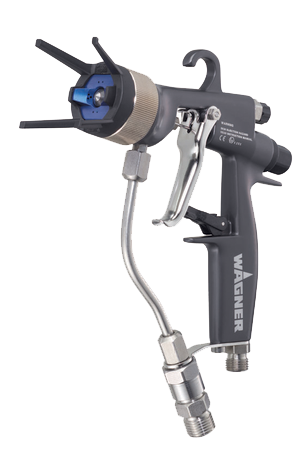 Light AirCoat manual gun with excellent ergonomics for smaller hands. 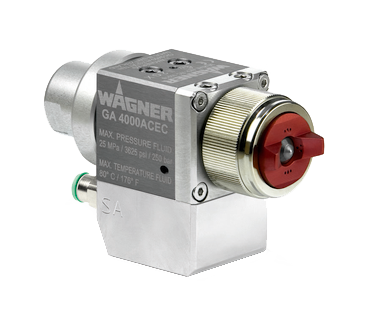 With various nozzles and air caps for low-viscosity and highest-viscosity products. Light AirCoat manual guns with insulation for processing heated materials. 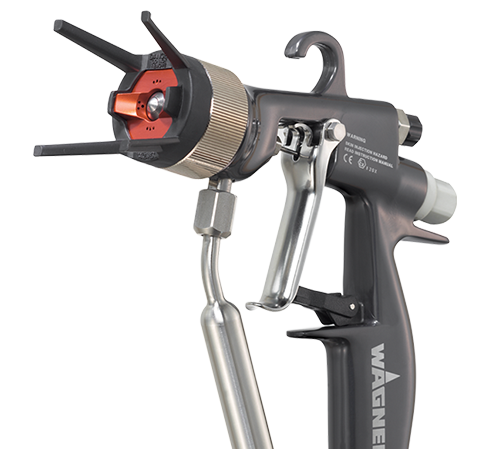 The gun is designed for a product pressure of up to 350 bar. 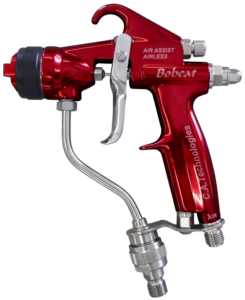 C.A.Technologies introduces the latest addition to the CAT gun line – the Bobcat Air Assist Airless gun designed for production wood and metal finishing. 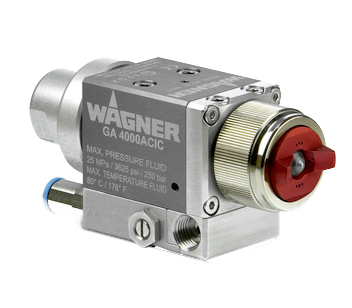 Features include lightweight design, stainless steel fluid passages and an integrated fluid filter. 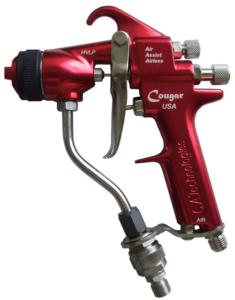 The Cougar Air Assist Airless is a fine finish gun for production wood or metal fine finish spraying. 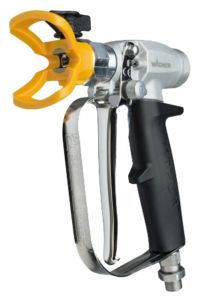 Features include all stainless steel fluid passages, ergonomic design, integrated fluid filter and easy trigger pull. AirCoat automatic guns with internal controller for the installation in automated lacquer spraying systems. Various base plates allow numerous installation options. With or without circulation. AirCoat automatic guns with external controller for the installation in automated lacquer spraying systems. Various base plates allow numerous installation options. With or without circulation. The new auto BOBCAT AAA has all stainless steel wetted areas, great for woodworking and metal finishing. It encompasses a new revolutionary needle design that simplifies maintenance and cleaning. Each gun is packaged with the ability to be used in circulating or non-circulating systems. 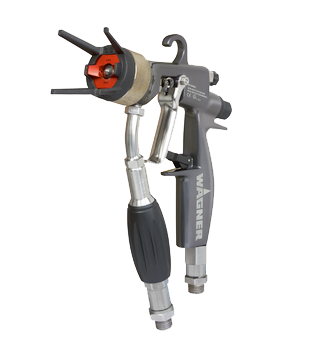 Airless manual gun with 4-finger-trigger for heavy corrosion protection up to 530 bar. With filter, ProfiTip nozzle holder, and rotary fitting. Can also be used with insulating handle for heated product. 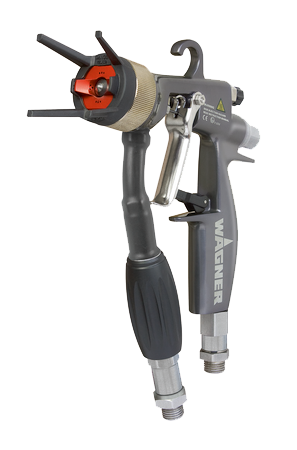 Airless manual gun for up to 270 bar for Airless finishing applications. With filter and swivel joint. Various nozzle attachments. 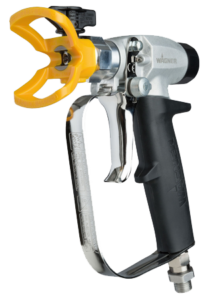 Airless automatic gun for product pressures up to 250 bar. 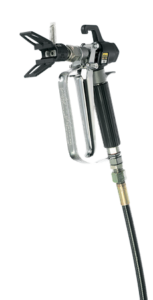 Airless automatic gun for product pressures of up to 400 bar. 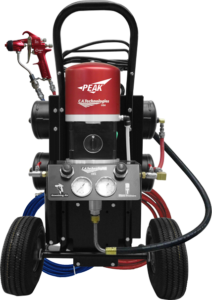 Airless Spray Systems offer increased coverage for larger jobs. Air Assisted Airless offers smoother coatings at higher pressures. Our in house engineers will put together a system that fits your application optimally.